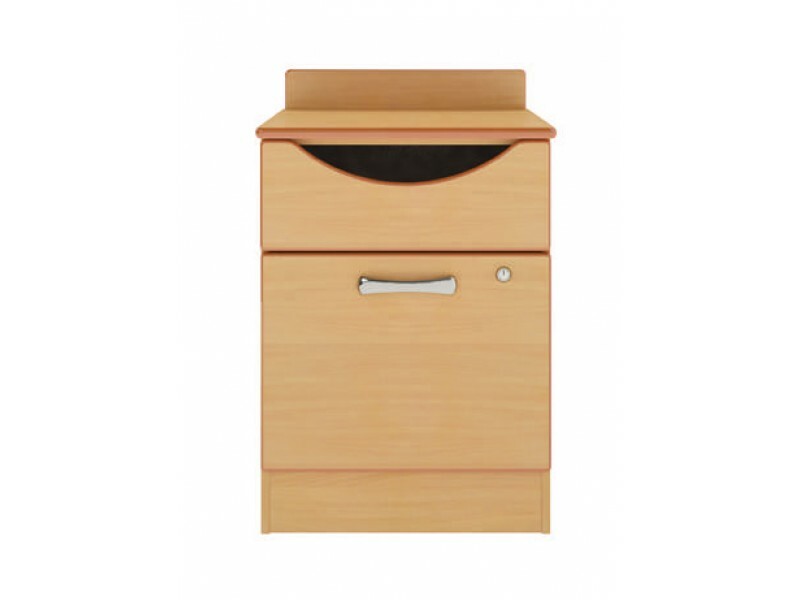 the Hockley Bedside Cupboard has a drawer and a lockable door. The Hockley bedroom furniture range has been designed to aid persons living with Dementia. 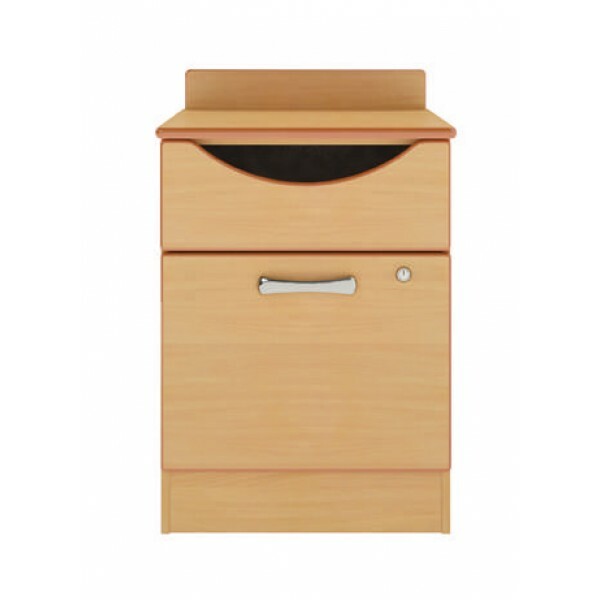 All units have soft rounded corners and profiled edges and are made from hygenic laminated board. Scooped drawer fronts are standard with the Hockley range, however solid fronts are an upgrade option. Key design points of the Hockley range help minimise confusion and anxiety, which may help your residents with their daily routine.
. Glued, dowelled and screwed for strength.
. Solid backs to all units.
. Anti microbial finishing laquers for infrction control.
. Made in the UK.
. choice of 6 colours. The Hockley collection is made to order with 3-4 weeks lead time.